You may send donations to The Trebach Institute - a 501 3(c) organization. Specify "Abusive Treatment Project"
Congress shall make no law...abridging...the right of the people peaceably to assemble, and to petition the Government for a redress of grievances. Folks, it's time to end the abuse once and for all. And its time to end Mel Sembler's reign as the Man in the Gray Robes behind this phony "War on Drugs". The views and reports made by guest reporters (including snagged reporters) on this page are not necessarily shared by The Oakton Institute or theStraights dot com. They are the observations of what one person perceived he or she witnessed at an event. theStraights dot com welcomes comments and reports from those who have been a target of a picket and will make reasonable efforts to publish counter reports or replies. Flow chart of the Straights--a graphic. Note: you may have to play around with this one. For example, in Paint Shop Pro V6.01, select File/Print Preview/Setup and select "fit to page", then print it. MS Windows users might try the print option to "fit to page". Civil suits and criminal charges. What professionals are saying about the Straights. Straight legacy parents, state licensing officials, insurance companies, professional medical people beware. If you are planning a protest, please let us know so we can include it on the schedule above. 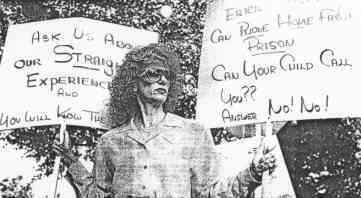 If you have photos or a story on a Straight-related picket please let us know and forward photos to us for display on this page. If you would like to be a regional picket director or would like to be notified of a picket in your area, please let us know. EMail us. 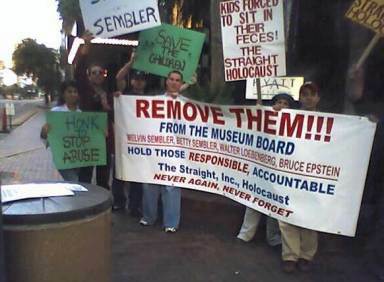 The St. Pete for Peace crowd opposes right wing Republican elitism, the War in Iraq and Straight. They protested Bush's Inauguration Day. Many Straight survivors favor Bush, others oppose him so the turnout from the Straight crowd was understandably poor. 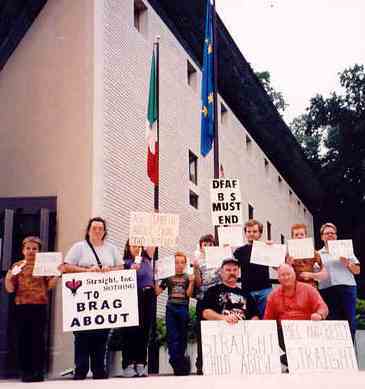 But for those few who did show, this was the first time an anti-Straight crowd protested at The Sembler Company. The poor protest turnout was reminiscent of the DATIA workshop protest in 2002. The US Supreme Court had just decided that kids in any school activity could be drug tested without probable cause for their own good. 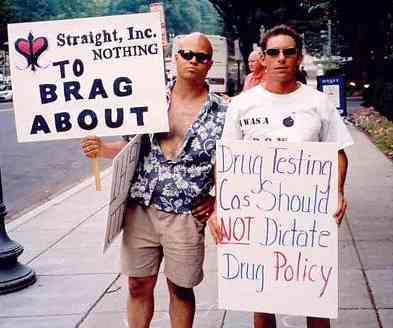 DATIA is an organization behind drug testing. The more kids are tested, the more money it can make. Straight survivors were aware that Drug Free America Foundation was a major player in an Amicus Brief presented to the court. Some Straight Survivors favor legalization of drugs, others do not. The protest was hampered because groups like Norml who favor drug legalization also protested the conference--but for different reasons. St. Valentine Day surprise for the Semblers. 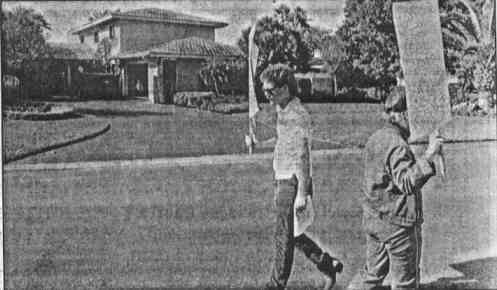 Karen Castellio of Channel 13 News in Orlando was filming the events of National Recovery Week at the TD Waterhouse Centre on 9-11-2003 when a bunch of SAFE protesters showed up in the foreground. They were protesting the fact that the event was sponsored by SAFE and also the fact that the federal government is endorsing controversial drug rehabilitation programs. The purpose of the protest is here. The Press Release is here. 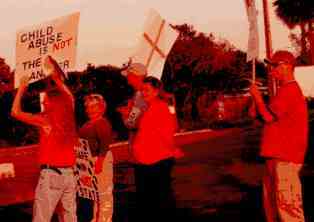 Wes Fager's solo protest of Church of Scientology's Flag Headquarters Clearwater, Fl. A march to protest Straight's continuing involvement in national drug policy, and also to show solidarity with those currently engaged in a civil suit in federal court with the Straight legacy program SAFE in Orlando, Fl. 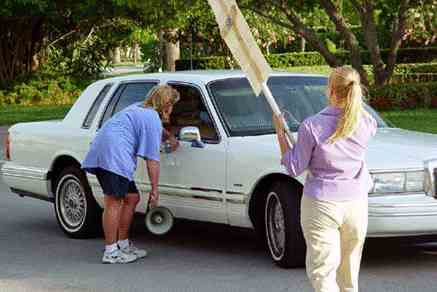 Click here for additional picket pictures. For additional information on SAFE click here. And as for SAFE, GregFL is right:. WE WILL BE BACK. 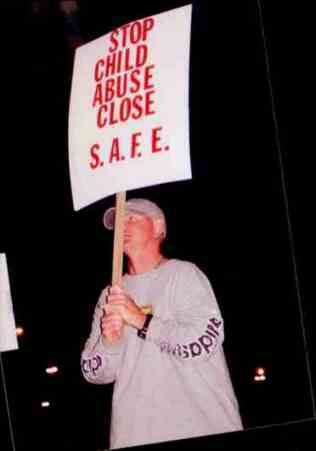 Addendum to SAFE Picket, July 29, 2002. 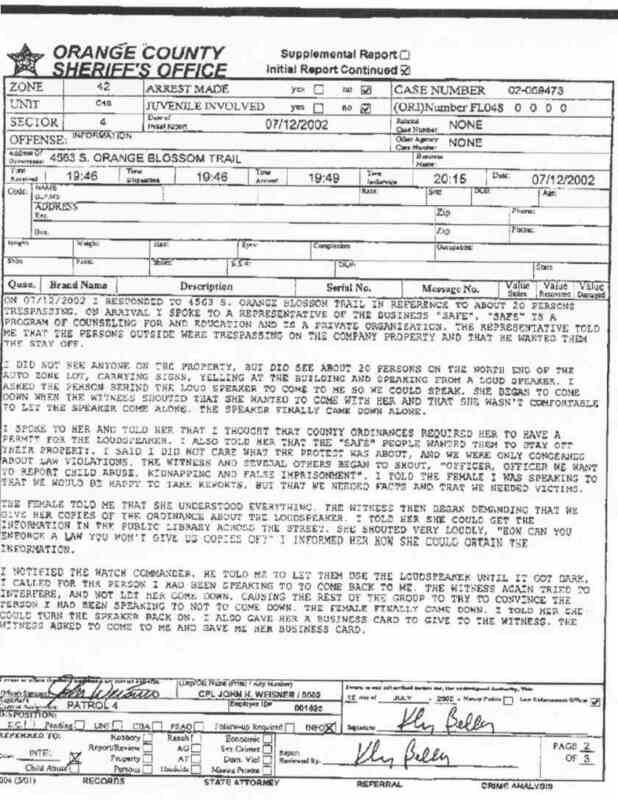 After the picket, several people called or visited the Orlando Sheriff's Department regarding the two incident reports that had been filed. Those concerned felt that the Sheriff's Department was not taking the alleged restraint of a SAFE client and the alleged assault of one of the protesters seriously. 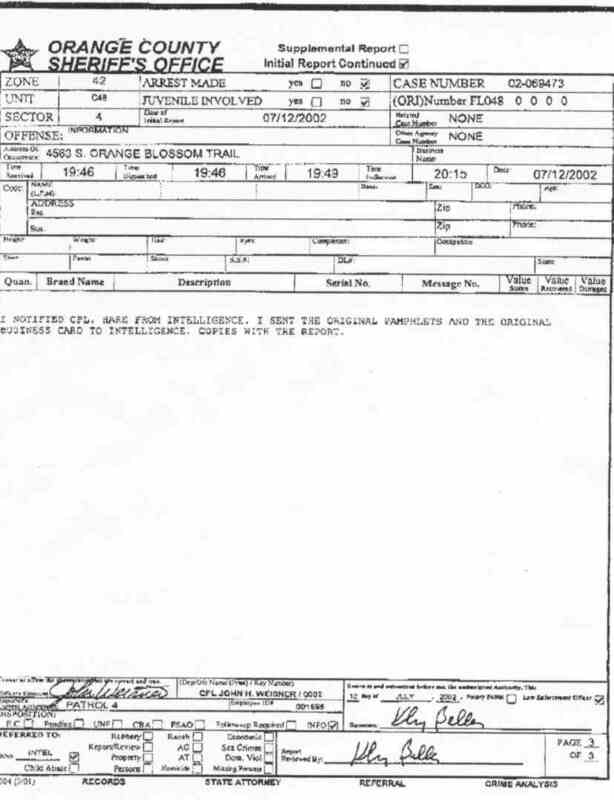 But the Sheriff's department has filed both reports which can be found here. The weather could not have been more splendid to help make this, the Second International Conference on Juvenile Rehabilitation Abuse, a huge success. The festivities actually started on Thursday afternoon when radio WMNF of Tampa did a follow-up interview with former Straight students. Richard Bradbury, Samantha Monroe and Chris Tyler with yours truly piped in via telephone. I got up at 4:30 Friday morning to work some more on my speech, and tuned into www.sptimes.com --the on-line version of The Saint Petersburg Times (America's Newspaper)--and was surprised to see a picture of Richard, Sammie and Chris right on the top of the front page pointing to an-inside story about Straight abuses and about our conference. When I checked again at 5AM the story had been moved further into the paper, but for a short while it had actually been right on top. I arrived in Tampa at 4:45 that afternoon and was immediately whisked off to Treasure Island and the US residence of our Ambassador to Italy, Mel Sembler. Or should I say to the public street in front of his home. Mel and his wife Betty are the founders of Straight, Inc. and we were there to protest our President's decision to make him an ambassador in spite of the reputation of criminal child abuse which the Straights have brought upon themselves. 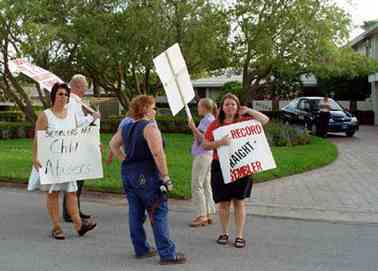 There were probably 20 picketers there and a photographer from The St. petersburg Times. Betty had recently hurt her foot in an automobile accident and at some point during the picket a delivery van delivered flowers making us think that she was perhaps at home. There was a private security guard in the front yard. Marked police cars were parked all over the place with three plain clothes officers stationed across the street. At one point one of the picketers stepped off the public street onto the Sembler's arched driveway (an apparent accident) and was told by the security guard that if it happened again, she would call the police. 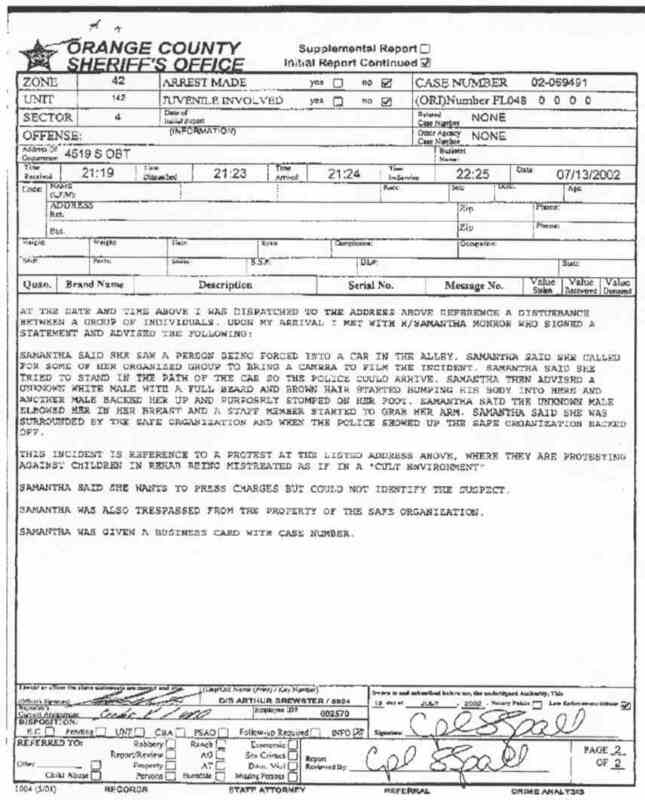 She must have thought it had happened again because soon after a police car showed up. We were hoping they would come in mass with sirens blasting and blue lights spinning to help bring public attention to the event, but it was just the lone cruiser without fanfare. WAMI TV news segment on SAFE-Orlando sparks a picket. 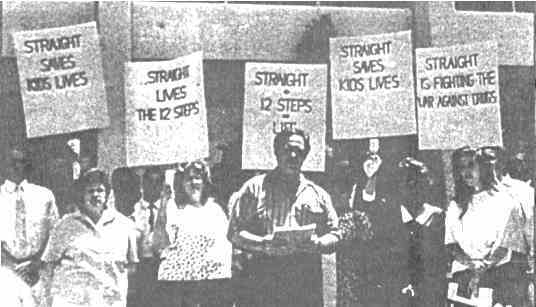 In response to a two-part expose of the Sembler-based synanon called SAFE, Inc. in Orlando, Florida by TV station WAMI in Miami and in response to one's family story, A Woman Named Alba, claiming it has been ripped apart by SAFE, Inc a general picket of that juvenile therapeutic treatment program was conducted on November 24, 2000. 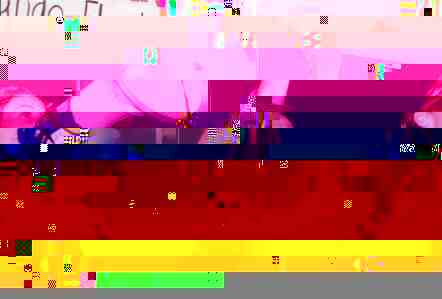 Surprisingly, SAFE was endorsed, in writing, by Florida Governor Jeb Bush, just prior to the segment's release even though he had been warned that the station was looking at alleged abuses at SAFE. 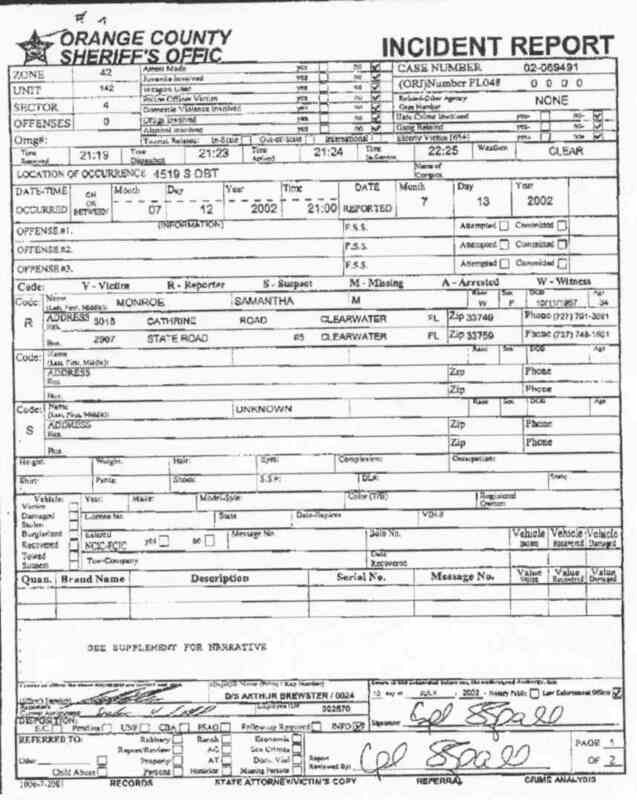 Straight co-founder Betty Sembler, who still runs Straight Foundation under its new new name, Drug Free America Foundation, was Jeb Bushes finance co-chairman. Her husband Mel Sembler, another Straight co-founder and a big contributor to George, Sr.'s presidential campaign, is the finance chairman for the national GOP. Former President George Bush is an an ardent Straight backer which should come as no surprise to cult watchers since he has been a paid mouthpiece for the Moonies. Besides his father, Jeb Bush's mother, Barbara, and his brother, president-elect George W. Bush, Governor of Texas, have also worked closely with Straight lending support to Straight Foundation which now calls itself the Drug Free America Foundation, Inc.
Mel Sembler's old nemesis Richard Bradbury. 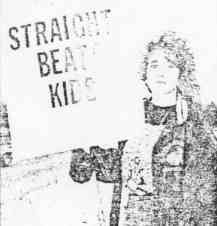 Richard Bradbury spent 8 long years trying to expose the abuses of Straight. Here he is once again. 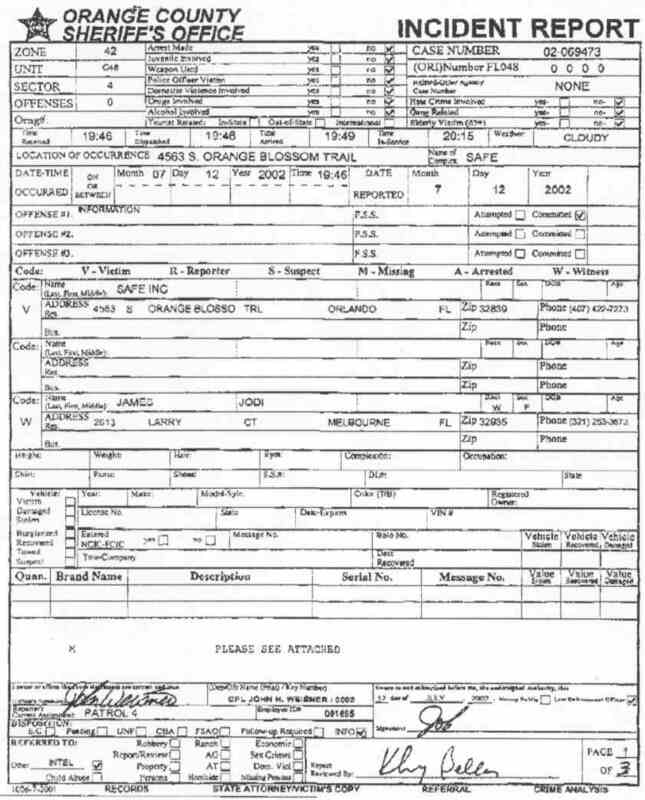 This time exercising his constitutional right to protest SAFE--a Straight descendent program in Orlando, Florida. November 2000. 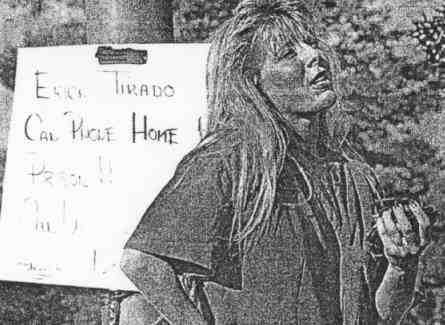 On November 24, 2000 picketers flew-in from around the country, one man from as far away as Detroit, to protest the treatment of clients at the Sembler-based synanon in Orlando called SAFE, Inc. From left to right, Ginger Warbis (a former student in Straight-Sarasota), Kimberly Fee (a former student in KIDS of Bergen County), Richard Bradbury (a former student and counselor in Straight-St Petersburg), Barbara (a former parent in SAFE, Inc.) and Cliff (just a concerned citizen). 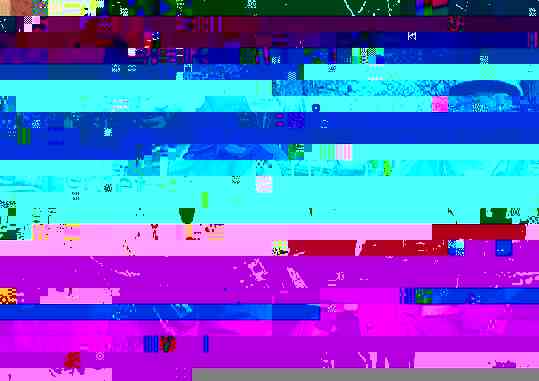 The cameraman had been in The Seed. 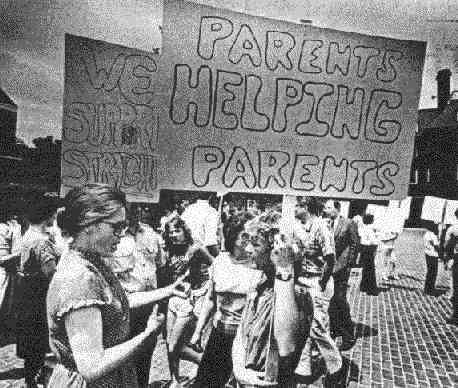 The November 24 picket of SAFE included representatives from three generations of The Seed including representatives from The Seed, Straight-Springfield, Virginia, Straight-Cincinnati, Straight-Saint Petersburg, Florida, Straight-Sarasota, Florida, SAFE, Inc. and KIDS of North Jersey, plus Jodi James and Scott "Bullhorn" Bledsoe representing the drug policy reform movement. Three protesters flew in from out of state, the furthest being from Michigan. Thank you Kathy Martin and Ginger Warbis for organizing this event and a special thanks to Alan Cohn and station WAMI for a job well done.